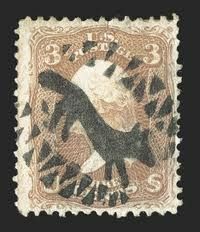 A stamp grade tells you several things about a stamp, such as its centering and condition, its rough value, and its desirability. However, one very important thing to keep in mind is that there are thousands, perhaps millions of different types of stamps, and that one stamp’s “grade” can only be compared to another stamp of the exact same issue. For instance, if two stamps of the same issue, such as the Classics Forever issue, each had a different grade, the one with the higher grade would be worth more. But if they both had the same grade, neither would be worth more than the other. On the contrary, if two stamps carried the same grade but were from separate issues, it’s unlikely that they’d also carry the same value. One could be worth $1 million, and the other just a dollar. Stamp grades are based on three factors: centering, condition, and eye appeal. Centering and condition play major roles in determining a stamp’s grade, while eye appeal simply adds a slight “bonus” or “discount” to the grade depending on whether a stamp has “excellent” or “poor” eye appeal. I’ll explain each determining factor in much more detail in a moment. For now I just wanted to get you familiar with each factor since you’ll be using them every single time you grade a stamp. Learning to grade stamps yourself is handy for several reasons. Obviously it’s free; you won’t have to pay professional graders. But more importantly, knowing how to grade stamps will empower you with priceless knowledge when purchasing an ungraded stamp. You’ll be able to determine a stamp’s approximate grade, value, and scarcity. Of course, there are some downsides and flaws with grading stamps yourself…. First off, no one has to agree with the grade you assigned a stamp. In fact, it’s very likely that your grade is different (probably higher) than what a professional grader would assign it. If you plan to sell self-graded stamps, they won’t sell for any more than what the buyer thinks their grade is. And, they’d sell for far less than they would if they were certified with a real grade. So although grading stamps yourself isn’t the most dependable approach, at least it’s free, and most of all, it’s powerful knowledge to have as a collector. I recently wrote an article which introduced the concept of stamp grading. If you’re unfamiliar with stamp grading, that article is definitely a must-read. 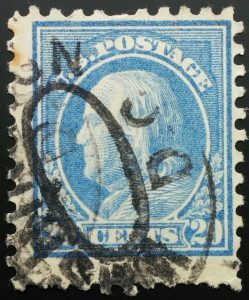 Once a stamp’s centering grade is determined, it’s time to factor in its condition and eye appeal. There are a number of faults a stamp can have. Old stamps in particular are more prone to faults, by virtue of their age. Faults almost always bring down the overall grade, some more than others. For example, a very minor fault may only bring the grade down from Very Fine to Fine, while a major fault would bring it from Very Fine to Good, or even render the stamp ungradable. 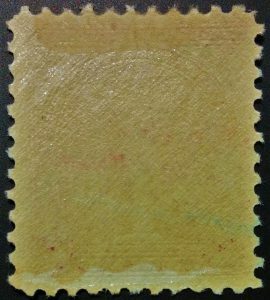 During the stamp production process, the gum was not always applied evenly over every stamp. Gum skips are areas on the back of a stamp that received no gum in the manufacturing process. Gum skips will not reduce the grade, although they are considered a trivial fault. Since fingers are moist with skin oil, touching the gum on the back of a stamp can leave a fingerprint. Fingerprints are considered a fault, but don’t lower the overall grade of a stamp. Sometimes collectors will regum a no-gum stamp, with the intention of increasing the stamp’s value. Regummed stamps are considered as no-gum and are far less desirable than original gum stamps, but their grade is not reduced. The following faults don’t quite fit into the above category, because depending on their severity may not lower the grade, or they could lower the grade by several steps. 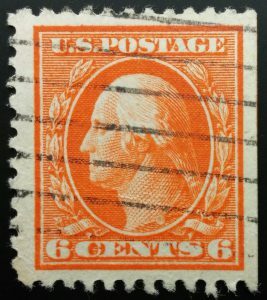 These trivial gum faults don’t lower the overall grade, unless they affect the stamp’s frontal appearance. Depending on the severity of the fault, the grade could be reduced by just one step, or by several steps. An inclusion is a foreign piece of material that was pressed into the stamp paper during the production process. 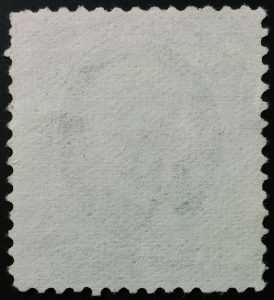 Inclusions appear as a fleck of color on a stamp, usually brown or black. Inclusions generally don’t bring the grade down unless they are on the face of the stamp. And if that’s the case, the amount by which the grade is reduced depends on the size of the inclusion. See the brown spot on the right side of this stamp? That’s a stain. 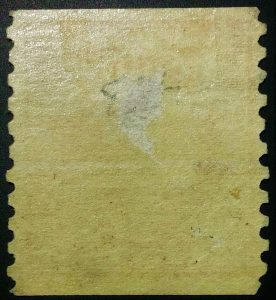 Brown spots on a stamp, primarily caused by exposure to acidic paper, moisture, or sunlight. Depending on the severity of the spots, the grade may not even be reduced or it could be reduced by several steps. Short perfs are simply shorter-than-normal perforations. Short perfs usually reduce the grade by just one step. This stamp has clipped perforations at the bottom. Clipped perfs are perforations that were cut short by scissors. Depending on the number of clipped perfs a stamp has, the grade could be reduced by one step or by multiple steps. A surface scrape is where a portion of the stamp’s face is scraped off, leaving a blank area. Depending on the size, a surface scrape can reduce the grade by just one step, or by many steps. The next set of faults all bring the grade down by several steps. If they’re severe enough, the stamp would be considered ungradable. An average-sized thin is visible in the upper-mid area. A thin means that a portion of a stamp is thinner than the remainder of the stamp. Tiny thins bring the grade down by just one step, but average or large-sized thins can bring the grade down considerably, and even render a stamp ungradable. Tears are considered major faults, and depending on the size will reduce the grade by just a little, or even cause a stamp to be ungradable. Also considered major faults, depending on their severity, creases can reduce the grade considerably or cause a stamp to be ungradeable. 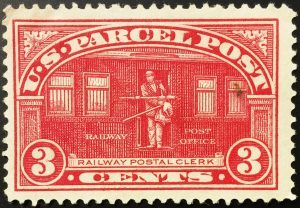 Heavy cancels are considered a fault, drastically reducing the stamp’s eye appeal. Heavy cancels can lower the grade by one or two steps. And finally, the following faults make a stamp ungradable. Stamps with these faults are considered “spacefillers”. Despite this stamp’s good centering, it is ungradable due to the straight edge. One or more edges of a stamp are straight, without perforations. Straight edges are the result of a stamp having been from the edge or corner of a sheet. Straight edges are considered major faults, and a stamp with a straight edge or two is ungradable. An alteration made to a stamp by adding fake perforations with the intention of improving the stamp’s eye appeal and value. A re-perforated stamp cannot be graded. Considered as major faults, stamps with pinholes are ungradable. Of course, if a stamp has missing pieces it is considered ungradable. Many also consider these stamps “trash”. After both a stamp’s centering and condition have been taken into account, the final step is to determine the stamp’s eye appeal. Eye appeal rarely affects a grade. And when it does, the affect is almost always minimal. All stamps have some sort of eye appeal, whether it be excellent, average or poor. 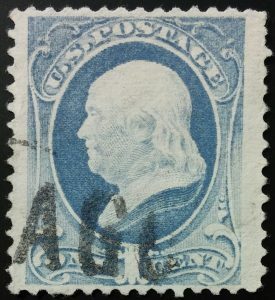 Most stamps have average eye appeal, which doesn’t affect their grade. 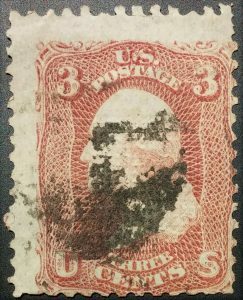 Stamps with excellent eye appeal enjoy an increased grade, and those with poor eye appeal suffer a discount to their grade. Now that’s a fancy cancel! Fancy cancels, very light cancels, uncommonly vivid color, and a crisp, “Post Office fresh” feel are among the qualities that increase a stamp’s eye appeal, and therefore grade. In general, these qualities increase the grade by one step. 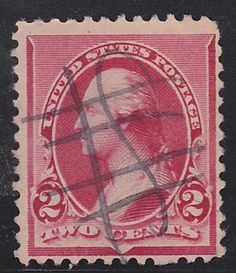 Pen cancels reduce a stamp’s eye appeal and value. Limpness, heavy cancels, and pen cancels all decrease the eye appeal and grade. Poor “qualities” like these usually decrease the grade by one step, but if they’re severe enough, can decrease the grade by several steps. Once every factor – centering, condition, and eye appeal – have been determined, a final grade can be established. The first step is to determine the centering. The design strays towards the left side, and slightly to the bottom. I’d say this stamp has Very Fine – Extremely Fine centering. Now that I’ve established the centering grade, it’s time to factor in the condition. This stamp’s only fault is three short perfs in the upper-right corner. These short perfs aren’t severe faults, but still bring the grade down by a couple of steps to Fine – Very Fine. The final step is determining the eye appeal. This stamp has average eye appeal, meaning the grade is unaffected. This brings us to the final grade: Fine – Very Fine. Grading stamps definitely takes some practice to get the hang of it, but in reality, it’s not that difficult. 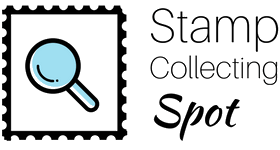 And the end result is that you’ll have gained some extremely valuable knowledge, become a well-rounded and smarter collector, and be a better informed and more savvy stamp buyer. Hope you learned something new today. 🙂 If you’ve got any questions or comments in regards to grading stamps, please leave a comment below. I’d love to hear from you, and help out in any way I can. Ian, doesn’t age and scarcity affect the value of a stamp? Even if they are ungradeable. Correct, age and scarcity will always affect a stamp’s value even if it’s ungradeable.